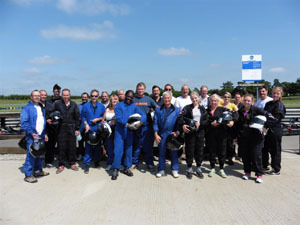 The whole Sitec team took a day away from the office to participate in a go-karting team building event. Several races where held over the day in a grand-prix format to find the Sitec champion driver. The Acquisition, Design and Installation teams raced against each other, with Matt Sharman from team Design emerging as the top driver edging out the Acquisition team and leaving the Installation team a distant third!